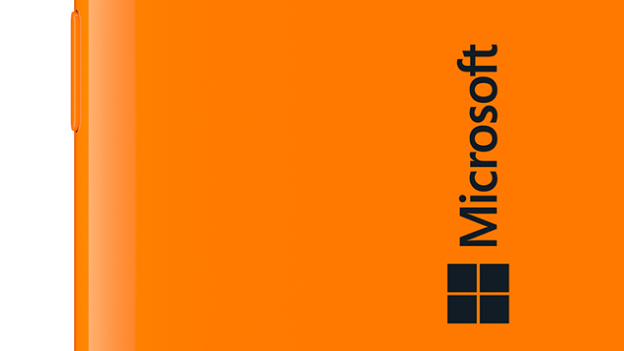 Microsoft confirmed earlier this week that it was in the process of dumping the Nokia and Windows Phone brands in favour of just using Lumia, and now it's shown what the new branding will look like. Pictures published on Microsoft's Conversations blog show the 'Microsoft' tag on the front and back of a phone where the word 'Nokia' used to appear, including the Windows icon on the rear. It also looks like the first Microsoft Lumia branded phone could be released this side of Christmas, with Microsoft's Tuula Rytilä saying that the company was "looking forward to unveiling a Microsoft Lumia device soon." Microsoft bought Nokia's phone business in April in a £4.5 billion ($7.2 billion) deal, and is now bringing to an end nearly three decades of Nokia phones. However the Nokia brand isn't entirely done and dusted just yet, with Rytilä stating that "Microsoft will continue to sell Nokia-branded, entry-level category of phones, such as the Nokia 130. We havelicensed the Nokia brand for such devices." So basically Microsoft's latest smartphones will be stamped with the new branding while its low-end wallet-friendly phones will carry on the Nokia name, mainly in developing markets such as India and China.